HOW LONG WILL IT TAKE FOR MY GIFT TO SHIP? Orders received by Lauren Ashley Studio are usually processed within 1-3 business days. Typically, orders take 1-5 days to ship via UPS ground shipping, depending on your ship to location. If you select one of our expedited shipping options, we will process orders placed before 12pm CST the same business day, otherwise they will be processed the next business day. 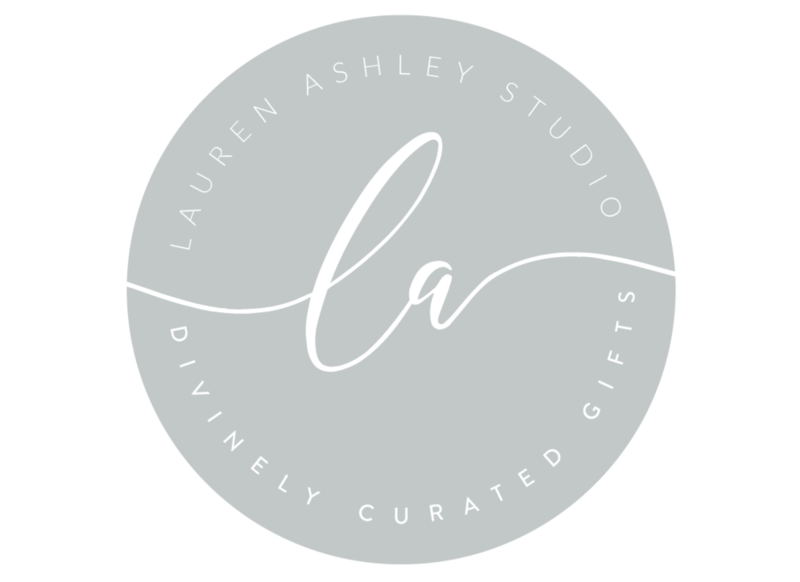 Please contact us at Info@LaurenAshleyStudio.com for orders of 10 or more gift boxes shipping to the same address, and we will do our best to find the best shipping option. Shipping to international locations is not available at this time. *If you are interested in next day shipping please email us at Info@LaurenAshleyStudio.com. If you cannot locate a delivery that the shipper’s tracking report indicates as received, our customer care team will do everything to assist. However, these rare situations are out of our control once we’ve made final shipping arrangements. We recommend filing a carrier claim, and we will be happy to do the same from our end! Yes - we also offer local next day delivery by 5:00pm to most places within a 25 mile radius of Sugar Land, TX. The shipments are normally left at the recipient's front door, and Lauren Ashley Studio is not responsible for the package once it has been delivered. If you are interested in same day local delivery please email us at Info@LaurenAshleyStudio.com and include "SAME DAY" in the subject line and we will try to accommodate. Because each gift is uniquely handcrafted, all sales are final. However, if you have any issues with a delivery, please contact us at Info@LaurenAshleyStudio.com and we will work to make it right. DO YOU MAKE CUSTOM CLIENT GIFTS? We would love to work with you to create custom gifts for any occasion, and we would be thrilled to partner with your business for special events, parties and holidays. Please send a note to Info@LaurenAshleyStudio.com, and we’ll be happy to discuss. WOULD YOU CONSIDER ADDING NEW PRODUCTS TO YOUR GIFT COLLECTION? Yes – We’d love to see what items you think would be a great addition to the Lauren Ashley Studio Collection. Contact us with your ideas at Info@LaurenAshleyStudio.com. WILL THE RECIPIENT BE ABLE TO SEE ANY PRICING INFORMATION? Our shipments do not include any receipts or prices. The sender is the only one who knows the total cost of the gift. We specialize in designing meaningful gifts for parties, weddings, once-in-a-lifetime events and other special occasions. We understand the importance of these memories, and we will work with you to ensure that your gifts will be perfect. We partner with companies who want to make a lasting impression on clients, employees and other important relationships. We will work with your company to develop an exceptional gift collection that helps you reach your objectives.